The weather will be cloudy and mostly dry on January 24. Light mist will be observed in some places at night and in the morning. South-west wind will blow. 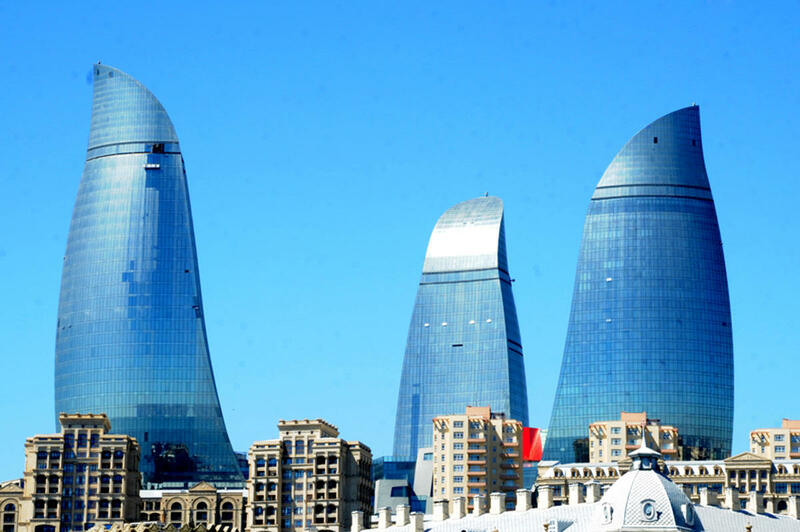 Temperature will be from +3°C to +6°C at night and +7°C to +10°C in the daytime in Absheron and from +4°C to +6°C C at night, and +8°C to +10°C in the daytime in Baku. Air pressure will fall from 767 mm to 763 mm mercury column, the Ecology and Natural Resources Ministry reported. Relative humidity will be 70-80% at night, 55-60% at daytime. The weather will be mainly dry in country's regions. However, drizzle is predicted in Lankaran-Astara zone at night and in the morning. Fog will be observed in some places. West wind is expected to strengthen in some places. Temperature will be from 2 degrees of frost to +3°C at night, from +9°C to +14°C in the daytime, in mountains 0-5 degrees at night, and from +3°C to +8°C in the daytime. On January 24, the south-west wind will be 15-18 m/sec and is expected to intensify up to 20-23 m/s in Baku and Absheron peninsula. South-west wind will intensify up to 20-25 m/s on January 24-25 in mountainous areas.